The Justice Department has not revealed what Huawei was doing to run afoul of the sanctions. Chinese companies regularly do business in Iran, and much of that trade complies with sanctions regulations. The question appears to be whether Huawei sold technology from the United States to Iran or violated sanctions in some other manner. While the case involving Ms. Meng is related to the unauthorized sale of equipment that could violate sanctions against Iran, F.B.I. counterintelligence agents and federal prosecutors began building criminal cases against Huawei’s leadership in 2010, according to a former department official. The effort was led by United States attorneys in offices where Huawei has facilities, including Massachusetts, Alabama, California, New York and Texas — offices that were chosen this fall to lead the Justice Department’s efforts to combat Chinese national security threats. As the F.B.I. looked into Huawei, its investigators grew concerned that company officers were working on behalf of the Chinese government. By the time Mr. Trump took office, F.B.I. leaders regularly talked about Huawei almost every day, according to a former official. Mr. Trump has emphasized curbing China’s rise as a technological power, increasingly linking trade with national security. The White House has restricted Chinese investment in the United States and hit China with tariffs on $250 billion worth of Chinese goods, including sensitive products like parts for nuclear reactors and semiconductors. 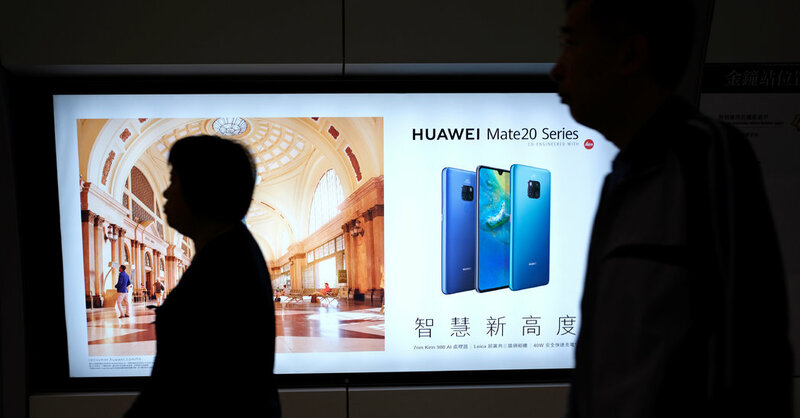 American officials have raised questions about how closely linked Huawei is to Chinese security agencies and the People’s Liberation Army. The founder of Huawei and Ms. Meng’s father, Ren Zhengfei, is a former army engineer who has become one of China’s most successful entrepreneurs. American officials are pressing other countries to not enter into deals with Huawei on developing fifth-generation, or 5G, wireless service networks.